Champon is the origin food of Nagasaki. Champon is a Japanese noodle dish invented in Nagasaki, Japan. It is made by specially made noodle, frying pork, seafood, vegetable with chicken and pig bones soup. Nowadays Champon is a popular dish all over Japan. 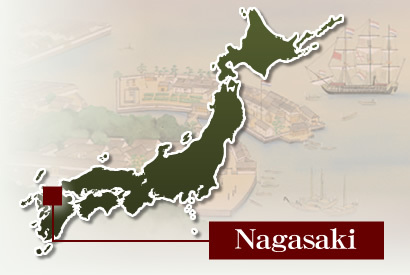 Nagasaki port was the Japan’s sole major port then opened to overseas trade during the era of isolation. Once Japan opened up again to the world during the Meiji Period, Nagasaki was an important port of call for many overseas traders for example European, American and Chinese. Champon was invented in the mid of Meiji period by a Chinese man who owned a Chinese restaurant in Nagasaki. He created Champon for Chinese students in Japan that time. The dish was popular among the Chinese students and its popularity quickly spread to Japanese communities in Nagasaki. Nagasaki Champon Ringer Hut opened the first specialty Champon restaurant in 1974 at Nagasaki and expanded the branches all over Japan. 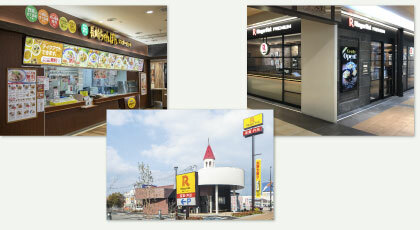 Currently, as of 1 February 2011, we are operating more than 470 Ringer Hut restaurants over the country and became one of the leading restaurant operators representing Japanese food. Ringer Hut is using domestic fresh vegetables for our Champon Please come to enjoy our delicious Champon when you visit Japan. Tonkatsu, deep-fried deep pork cutlet, is one of popular Japanese meat dishes. It was originally considered a type of yoshoku—Japanese versions of European cuisine invented in the late 19th and early 20th centuries—and was called katsuretsu (cutlet) or simply katsu. There are variations of meat used; pork loin cutlet (called Roast-katsu), pork tender loin cutlet (called Hi-re-katsu). Traditionally, Tonkatsu is only cooked in household for only special occasions. Also, “Katsu” in Japanese means wining, so when there is an examination or a competition, Japanese will eat Tonkatsu. 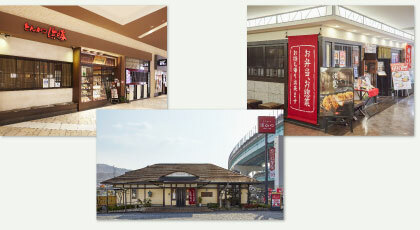 Tonkatsu Hamakatsu was established in Nagasaki in 1962. After that, we have been expanding our brand centering on Kyushu and Tokyo metropolitan area. We use special selection of pork meat (herb pork, Yamazaki pork and HigosakaeHiou pork) and all high quality ingredients to create the tastiest Tonkatsu available in Hamakatsu. Copyright © 2012 Ringerhut co.,Ltd. All rights reserved.